Issued before the Grand Prix of Brasil, 2003. 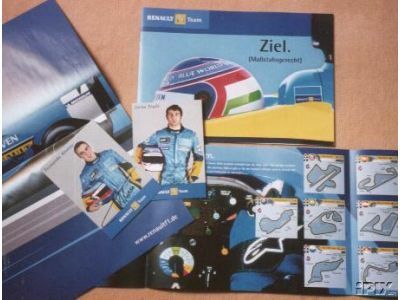 Contains information on the team and short bios of the drivers Jarno Trulli & F1 shooting star Fernando Alonso. 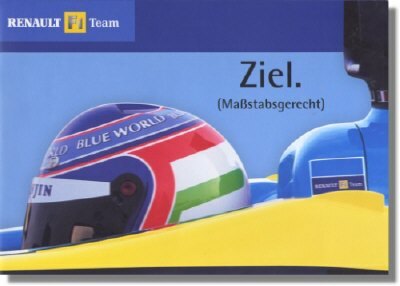 EXTRA BONUS: Fan card of Fernando Alonso + Fan card of Jarno Trulli, both with printed signatures.